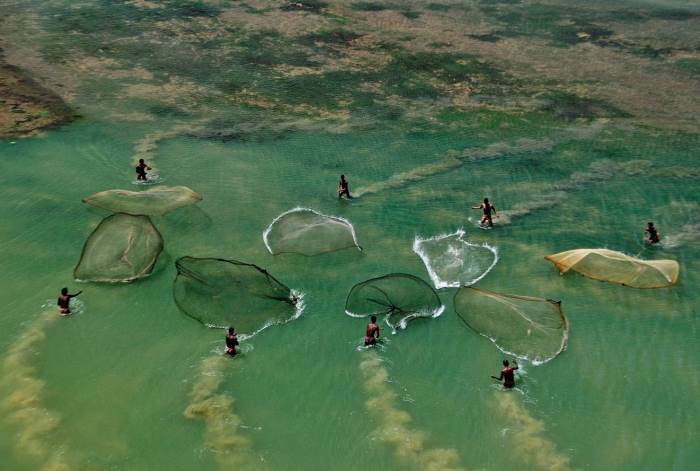 The 2013 WIN photo competition explored how cooperation can improve integrity in the water sector and reduce corruption. The photos selected show how corruption can be perpetuated through lack of corruption, or on the contrary how cooperation can reduce corruption risk. 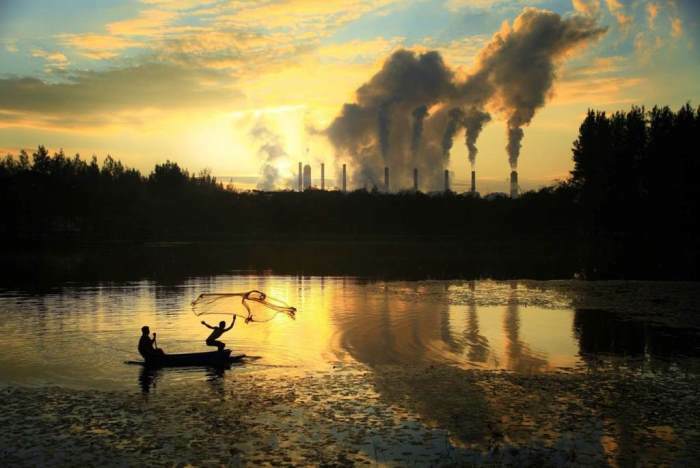 The Fishermen live close to the Mae Moh Coal Mine, a power plant factory in Lampang Province, Thailand. They have to live with environmental fluxes of arsenic from lignite mining and power generation contaminating their water and food source. 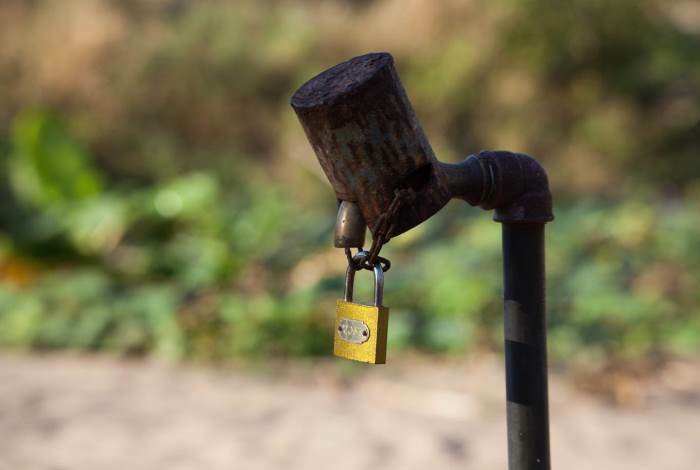 After some misunderstanding in the village, someone decided to lock the water supply. Now only the village chief has the key and whether he uses it or not depends on his mood. 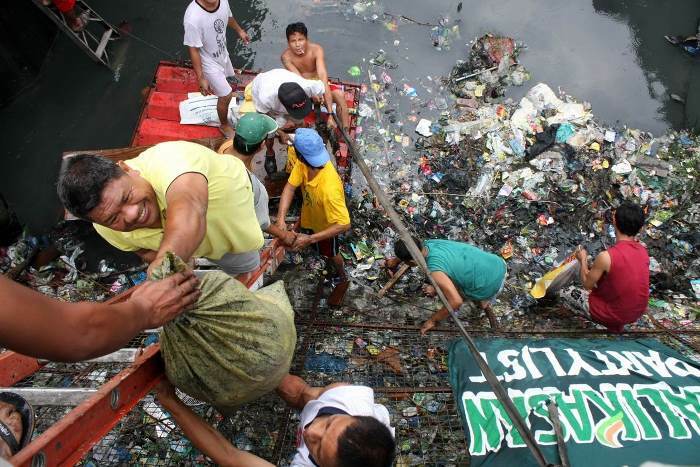 Helping Hands: Residents of Barangay 299 in Santa Cruz, Manila, participate in a clean-up drive of clogged waterways, emphasizing that people are part of the solution to Manila’s flooding woes. 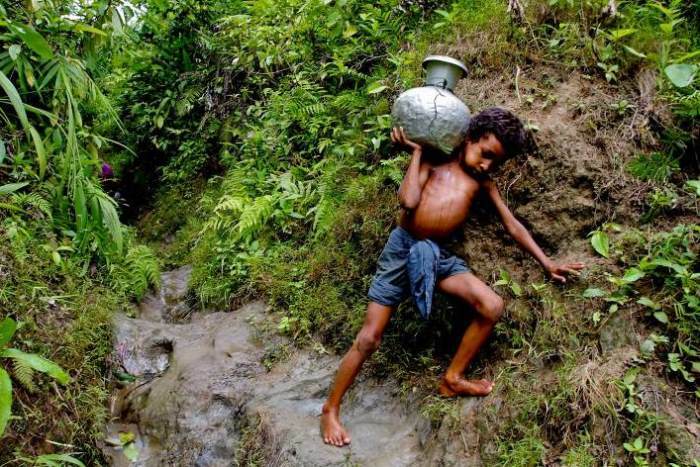 Children collect water from far away on the hills and carry it back to the Dum Dum Meah refugee camp in Bangladesh. In 1992 more than a quarter of a million Rohingyas (Muslims from Burma) fled from Burma (Myanmar) to Bangladesh. Today, those Rohingyas who cross the border into Bangladesh still find themselves with nowhere to go. They are persecuted by the Burmese junta at home and are not recognised as refugees by the Bangladeshi authorities. The two official refugee camps house about 26,000 people. Food and clean drinking water are scarce. 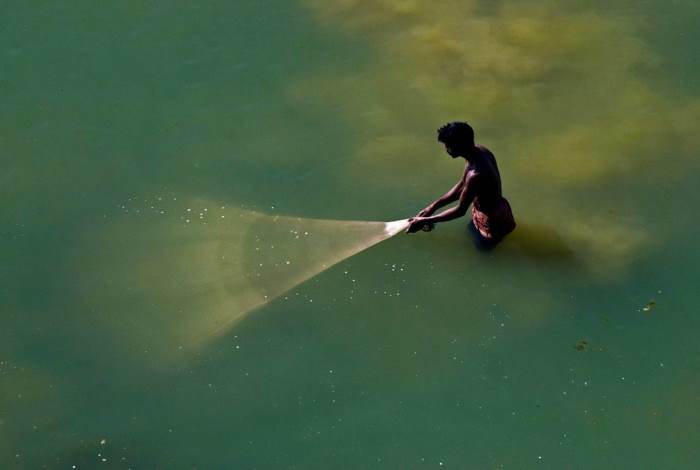 The Fishermen: There are many rain-fed small rivers in West Bengal which support the backbone of village economy. The villagers are aware and save the river from pollution for prosperous pisciculture. 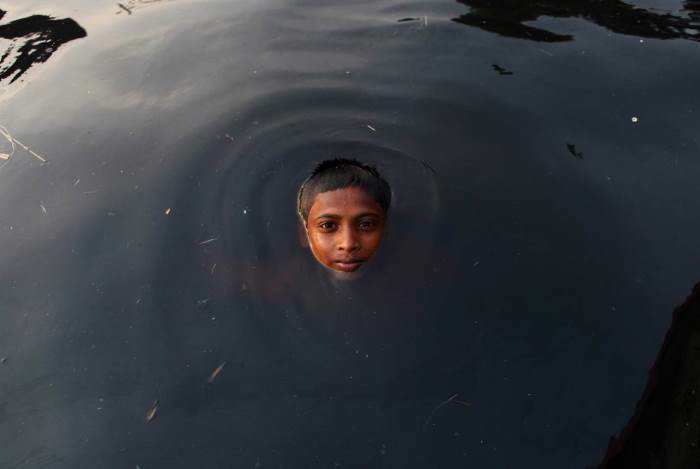 Young boy swims in the polluted river water. Indiscriminate discharge of liquid waste by the industries in and around Dhaka industrial zone has ruined a large part of the Buriganga river, causing immense suffering to residents living on the banks. This picture was taken at a garbage dump located in Phnom Penh, Cambodia, where about 1,000 people live, of which about 300 are children. 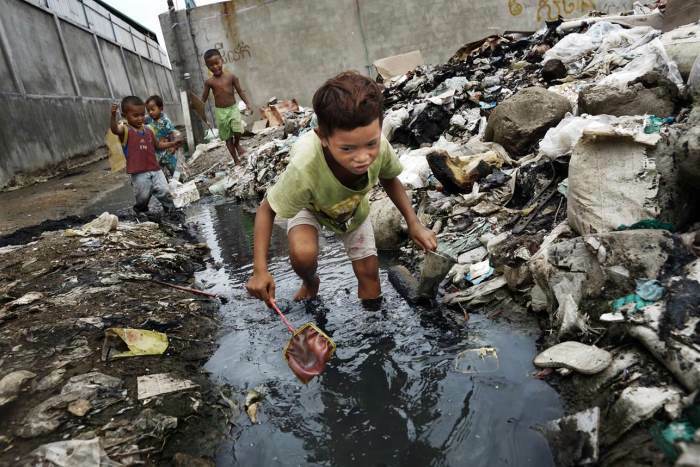 These children have money to go to school, but they live, work and play in the garbage dump. Negative environmental impacts, like declining water quality, encourage more sustainable practices like netting to live on, with many fishermen becoming aware of the impacts of their practices and choosing to use these traditional hand nets, often made with indigenous fibres. 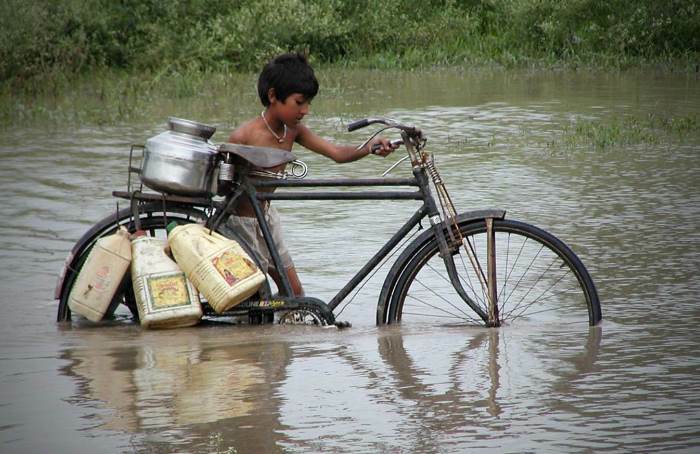 Drinking water in rural parts of India is still lacking. Despite all government schemes applicable, administrative systems struggle to provide clean drinking water in rural areas because of corruption. Drowning life: The picture clearly underlines the famous phrase: “water water everywhere, not a drop to drink”. 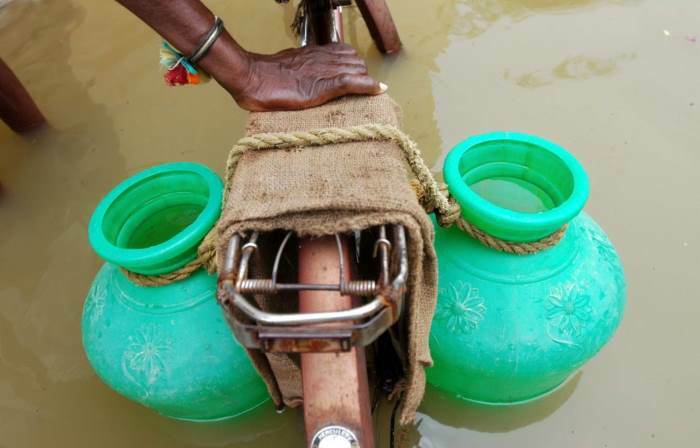 Here, in Chennai, India, a man carries two pots filled with water. Even though rain water surrounds the area, pure drinking water is still scarce, due to an inefficient water supply network. People power will be the best way to fight against this issue. As the concerned authorities fail in their duty to ensure efficient water supply, people should stand united and demand in one voice: “we need drinking water for our survival!”.